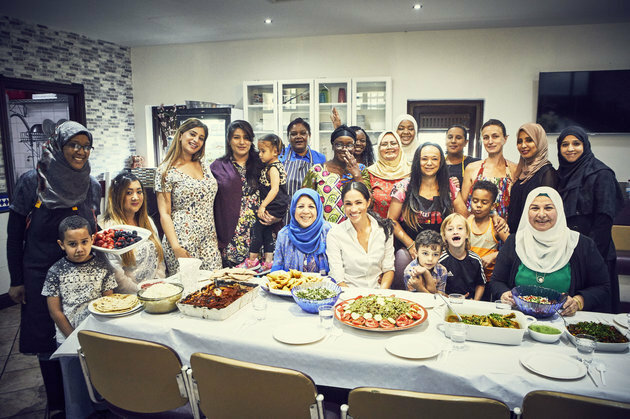 Encouraged by the former “Suits” actress, the women are producing a cookbook, called Together: Our Community Kitchen. It includes 50 personal recipes featuring Middle East, North Africa and Eastern Mediterranean dishes, the palace said in a statement. All proceeds from the cookbook will benefit the Hubb Community Kitchen. So that it can stay open seven days a week, according to the Kensington Palace Instagram account. “Swapping family recipes and moments of laughter gave us a sense of normality and home,” the women say in the book’s introduction. “We named ourselves the Hubb Community Kitchen to celebrate the thing that we all feel every time we meet. “It is a place for women to laugh, grieve, cry and cook together,” she said. “Melding cultural identities under a shared roof, it creates a space to feel a sense of normalcy. 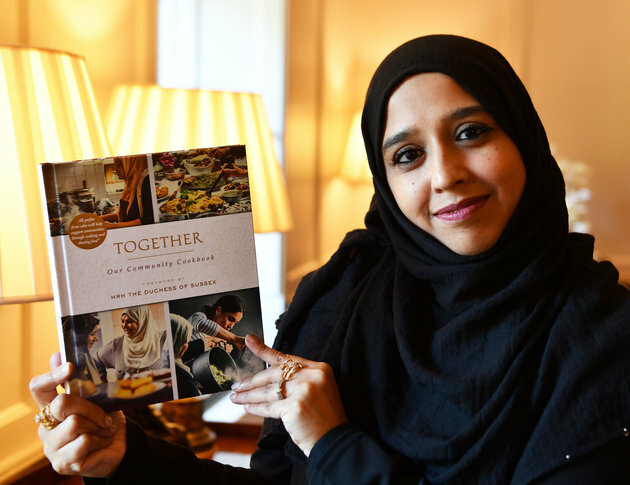 Zahira Ghaswala at Kensington Palace holding a copy of Together, a book that tells how women came together after the Grenfell Tower tragedy. 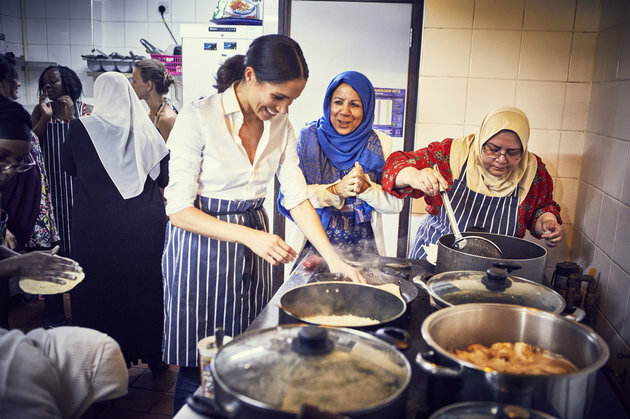 To cook for the local community, which has a foreword by the Duchess of Sussex. The Grenfell Tower fire killed 72 people and injured dozens of others. The blaze, sparked by a malfunctioning refrigerator. Was able to quickly tear through the 24-story residential building. Because of a type of exterior cladding in widespread use in the city, investigators determined.